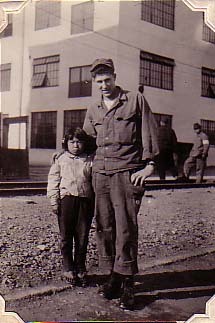 The end of the war in 1945 brought many soldiers home, but they did not return to the prosperous America that was in existed during the war time. The economy had profited greatly from the war, but now that it was over, the thousands of jobs that had been created disappeared and America's economy suffered because of it. Due to the dropping of the bombs on Hiroshima and Nagasaki, the war ended more quickly than expected and America wasn't ready for reconversion. This forced the Truman administration to return America's economy to normal, resulting in a period of economic troubles. Even though the economy was doing poorly soldiers still had much to look forward to on their return home. The veterans that wished to settle down and start a family could do so with more ease, and those who that wanted to continue their education could worry less about the finances for such an endeavor. These things were possible because of the GI bill. The GI Bill, known as the Servicemen's Readjustment Act of 1944, was created so that veterans would have more opportunities. It offered veterans financial aid in medical areas, home investments and business, but especially in education. Specifically, the government paid for all school materials and they helped pay for the cost of living while a veteran attended college. The GI bill also allowed veterans to attend any college that they wanted, as long as they met the requirements, they could attend for free. 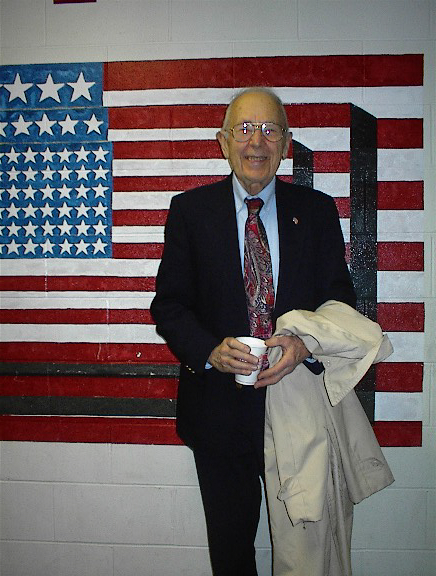 Millions of veterans benefited from the GI Bill, including both Mr. Gorman and Mr. Turchenitz. Life for those Americans that did not go to war was not as easy. There was labor unrest through out the country, and there were major strikes in electrical, automobile, and steel corporations. With the return of veterans looking for jobs, employers often laid off the people that had been working. During the war, the jobs that women and minorities had previously held, were given to the newly returned veterans. This led to a loss of jobs and a drop in wages for millions of workers who had been employed during war time. Soon after the Japanese surrendered, Truman proposed a new policy to Congress which he later called the "Fair Deal". The Fair Deal called for an expansion of Social Security benefits, a rise of the legal minimum wage, a program intended to keep everyone employed along with many other proposals. But when the Republican Party won control of both houses in 1946 congress did not pass Truman's Fair Deal. When Truman won the election in 1948 he reinstated some of the measures in the Fair Deal that were approved by congress. It successfully raised the legal minimum wage from 40 cents to 75 cents an hour, and it also led to an expansion in Social Security benefits. These reforms did help the economy to some degree, but it was the returning GIs who benefitted the most by continuing their education and being able to purchase homes at lower costs. The following is an interview with Mr. John Turchinetz, done on May 26, 2005. 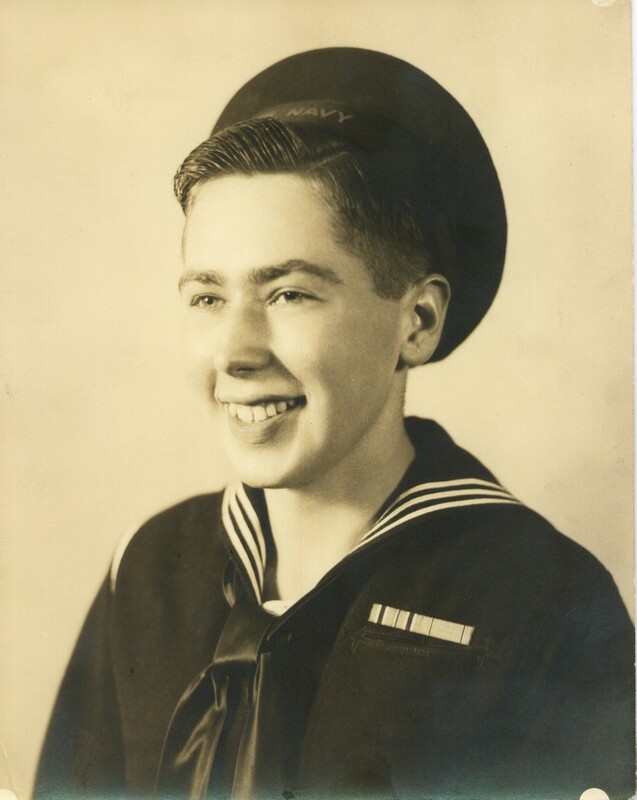 He entered the Navy when he was 18 in 1943 and returned home at the end of the war in 1945. He speaks of his his return home and the adjustment of coming home. What did you do during the war, and how old were you at the time? When I went in I was 18. I actually had a defense job working on weekends. Building 40mm anti-aircraft shells until December. I went to Boston Trade High School and they said if you had a defense job and your marks were above average, we could complete our studies by Christmas, which I did. So this sped you through school? Yeah, and then in 1943 I got my diploma while everybody was already in the navy. Then a month later I joined the navy. And it was at that time you sort of felt that you had to be in the armed forces. I became a selective volunteer. I didnt want to be drafted in the army. I was a sea scout. I liked the water. So I became a selective volunteer, so I could choose what service I wanted to be in. And so at the time I was too honest when I went in, I went into basic training. I wanted to get into fire control, and they would have sent me to the school, but they asked me how my marks were in math, and I said, "Ohh, pretty good, about average Id say". I shoulda said it was very good. I would have gone to school, But that turned out alright. When I got in there, I got into 40mm gun division. It was the quadruple 40s, which were the anti aircraft. So I was in that, then I switched over after about a year and a half into fire control. That is controlling the gunnery, and it was more into electronics which I like to do. After the war, what did you think about the German surrender and the Japanese surrender? I was in the pacific, so I didnt really hear about the Germans, but the Japanese really continued the fighting, and at the time, we dropped the bombs on Hiroshima and Nagasaki, and our ship was off of there, and our drinking water was from the ocean. We evaporated the water and made it into drinking water. A lot of men that served with me, on my ship, a lot of them got cancer. Actually after they dropped the bombs on Hiroshima and Nagasaki, I toured the sites afterwards. We had a truck and went to see all of the devastation. It was unbelievable. We interviewed some of the people and they say it was like the sky was black and all of a sudden there was a big bright light, and a big windstorm and everything was leveled. As we walked through I could see a spicket with water coming up. There was lots of devastation. We were glad that it happened because the Japanese were in caves and they were going to prolong the war. Here I was about 20 or 21 at the time. We were glad that it was over. How did it feel to be in the defeated country? What we did was we toured the various ports because we had an admiral on there. And we stopped in various ports at Yokohama and all of these naval ports. We had liberties there. We brought some souvenirs back. The people were good. We were nice to the children. I brought candy to them. You find most Americans do that. We dont promote war. We were hoping that there is no war and I was hoping that after World War Two there would be no more war, but people being what they are� it didnt happen. We wanted peace? Were there any negative feelings from the Japanese people? I found them pretty good. I think they realized, or the ones I encountered, they were very nice. Especially when they see us caring for their children, giving candy. They couldnt feel that we were being hostile being only young people like yourselves. After the war, when you arrived home, was there a celebration of any kind? Yeah, well my family. Yeah but no anything outstanding. OHHHH yes! The mayor of Boston, James Michael Curly, because our ship was called the Boston, he had a big party for us on the Boston Commons with a big tent of all the men that were on the ship named Boston. He treated us. That was the only real celebration we had. How many people were on that ship? 13,000 men. It was a big boat. So you say you were welcomed home as heroes then? I didnt look upon it as a hero. There were so many of us so we didnt think of any heroes. We felt the ones who were heroes were the ones who gave the supreme sacrifice. If you talk to any veteran that has seen action he will say they are the heroes, we werent. We were just doing our job. When you returned home what was everybody elses attitude towards the war? Like the public? They were very good to us. It was a good war. I think they realized with Hitler and the aggression. It was a good thing that we were going to have freedom in the world. Everybody felt positive. Did the town seem the same after the war? No. I lived in Boston in the West End that was right near the fleet center. I noticed a lot of new families. See I was in the service for over three years when I had come back people moved. So the strong ties I had with the younger generation, people got married and what not, they went to other areas. I felt a little different. So was it the same America that you left to fight the war for? I felt it was. Yes. Did the GI Bill help you? Yes. The GI Bill helped me. They were giving us 20 dollars a week for 52 weeks. And I didnt want to use that because I felt that people felt that there were people who take advantage of it. So what I did was take a refresher course that they had. Then I went to Newman Prep. I wanted to go back to my high school because I forgot a lot of my subjects. I wanted to take refresher courses, which I did. I took Newman Prep. So you felt that using the GI Bill would be taking advantage? No, No I felt that it was the right thing for the government did for us. It was the right thing. And subsequent to that I went to Northeastern, which was Lincoln institute. I loved electronics. I was involved with it in the navy. With a gyroscope and you know controlling the firing of the gun with the pitch and yaw of the ship to hit our targets. So I was very fascinated with it and radar. So I went to Lincoln institute, which is part of Northeastern night school. At that time I could not get a Bachelor of Science in Electrical Engineering because you had to go full time days. And at that time there was the possibility of getting married. I felt that I just couldnt do it. Did you get married and start a family when you came home? Yeah. I got a family, but I only had my first child, that came around eight to ten years later. So I went to school actually and got my associates and then from there I got my BBA in engineering and management from Northeastern. So those are the two degrees that I have. The associates and the bachelors, which was two years later. That was on the GI Bill. Then subsequent to that, at Babson, I used that. I worked at various companies. General Telephone and electronics, which was Sylvania. I worked in the naval yard initially for ten years after I was discharged from the navy. They were looking for some veterans with painting experience, so I had a lot of that in the navy. They said they were only looking for it for 90 days, but it turned out to be a permanent job. So I went to school nights while I was working at the navy yard. Then when I got my associates degree, one of the instructors liked my lab reports and said, how would you like to go into technical writing, so I said fine, so I gave my notice at the navy yard and accepted a job at Raytheon as a technical writer and I started out in the electronics field. I was about 24 or so at that time. So when you came home from the war did you have any trouble finding a job or did you go straight to the naval yard? No, because as I said, I was going to school part time. It was commerce high school and veterans taught it. These are refresher courses, so I was busy there. Then there was an opening, I noticed they were looking for veterans with painting experience so I applied for that. When you came home from the war did you find that a lot of the women took the places of the mens jobs? Was that a problem at all? Yeah. One of the things at the Naval Yard it was that, I guess that, some of the civilians that work there had to give veteran preference and some of us got preference and they had to leave because of that and it could have caused some hard feelings with the older people. Did you find that being a veteran helped with lots of things? Yes it did. Im a disabled veteran and working for the government, I wish they would do it for our town, they gave us five percent if you were a veteran, and if you were a disabled veteran you would get ten percent. So on your examination you would pick up extra points and sometimes it would put you a little higher. So we appreciated that. Did you find that most men went to college after the war, or found jobs and settled down with a family? I found that most men that I noticed, or this is my feeling, I felt that a lot of them wanted to be in the police department or have a steady job. There were openings in that direction and a lot of them felt that they could get into the civil service and they were doing well. A lot of them applied for jobs, they didnt go to college. I had a job, but I went to school nights. A lot of them were in a better position. I wish I went full time. If I had to do it over again I think� I would have to advise you not to go nights because your mind is fresher in the morning. At night your mind is usually tired. Especially if you are working hard all day. When you came home were you aware of any men that could not psychologically recover from war? I had one experience at the navy yard. I remember the gentleman. His name slips my mind right now. He told me he was in the battle of the buldge. He was in a parachute and being shot at. What happened was he went to the VA for examination and the doctor says there is nothing wrong with you. I guess he finally blew his top. I dont know what he did to that doctor, but he really has seen a lot of action. They took away his disability now they shouldnt have done that because he had post-dramatic stress. After the war what was life like? It was a nice era. I think it was really nice. You look back and the morals in this country were very good. I think people were a little more courteous than they are today. I saw a lot of pluses in comparing it today. All of the violence is going on. We didnt hear any of that. People were minding their own business they were glad to be back. We were trying to help each other you know. We were realizing that we were all in the same boat. We were trying to be normal. What do you think about the Soviet Union after the war? They were your allies in defeating the nazis then your enemies in the Cold War. Even at that time, I knew about Russia. I had some preservations on that because on the train there were some white Russians who had escaped. I still dont trust them. Even today I have a question mark about them. In the 50s did you feel that America was the same America that you fought to protect in World War Two? In the 50s I did. Yes. Now today, I couldnt say that. I felt that when we came home we were all united, but today it seems very divided. There is no cohesive spirit. It is a different world today. I think if you ask any veteran I believe he would say the same thing. How long were you in Japan after the war ended? I was in there about maybe 6 or 7 months in the occupation of Japan. We were visiting the ports and there was a point system. If you had so many points you would be discharged. And since I was a reserve I would be completely discharged. I wasnt in the regular navy. The following is an interview with Mr. Bob Gorman, done on May 23, 2005. He entered the Army at the age of 17 in 1946. 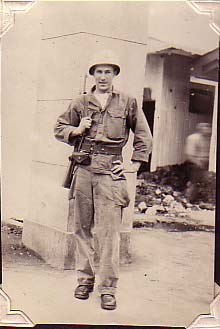 He served in occupied Japan, and worked in the ordance department for several islands. 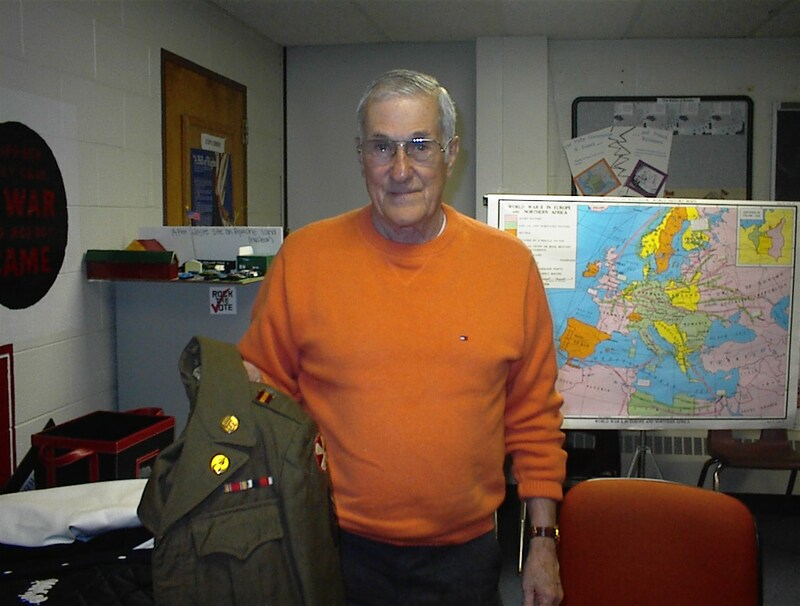 Mr. Gorman sat down with our local historians and explained the post-war occupation and coming home. This transcript is abridged due to a faulty tape. ...Not just the bucks, you're going too. Everyone would be in and I think it would help our country to get a better perspective. I knew nothing. You at least had the opportunity to grow up in a nice school system, with a television, with computers and everything you want. When I grew up, I told you, we didnt have a television. We just had a radio. In some families they had crystal sets. Its a whole different world. I was seventeen years old and I knew absolutely nothing. The only thing I knew how to do was run a mile. I noticed this picture is a troop ship. Is that going out or coming in? Thats coming in. Going over, I went over on a victory ship. They made those in Providence Rhode Island. And they welded them together. A couple of them went down the ways in Providence and they sunk and I can remember climbing up that walk when I was going over, we didnt know where we were going, we just knew to get on board, they didnt tell you anything, and all I could think about was, this is one of those things that sunk in the harbor. We were four bunks deep, and the isles were that wide. You had to put your duffel bags, and I was in the second bunk. You were lying against steel plates. They were four feet, like panels of plywood, and they were just welded together and when the ship moved you could see them buckling. We rode up in the bow most of the time, I didnt mind, but when I went under that at night ohhh I would pray. I would say them all in latin. I said, �if it goes down please let me be upstairs.� We used to eat standing up. You only had two meals a day cause they didnt have enough food to give you three and then bring it back. They tray would slide down and then when the ship rolled back theyd come back and youd look and say, "Hey!! Who took my peaches" There'd be some guy down there gobbling up your peaches. How did you react coming home? When I came home it was fine, you know. I slept for the first week or so, and I didnt do anything but go out at night and sleep. But eventually, you know it was no big deal, you know, you didnt wear your uniform, I wore my uniform, you know, my mother made me wear it to the first Sunday mass to show me off. After that you put on civilian clothes and it was fine. But as I said, the benefits to me, was, if I ever made a business deal like that every five years Id be a multi millionaire by now. I mean college education, paper back books, they gave me 75 dollars a month besides. I could do what I wanted because I was a veteran. I got my house, I had to pay it back, but I couldnt afford it. I was starting 2,850 dollars a year. I couldnt afford a house until I use the GI Bill. My parents could never ever afford to send me to college. My brother same way He was two years ahead of me, so he was in the navy ahead of me. He got a GI Bill. And we went to college together for four years. Would you say living in the fifties was the same America that you fought to protect in the war? It changed from when I was a little kid because they started making [stuff] during the war they didnt make any products for the house available. They didnt make bicycles. They didnt make automobiles. If you happened to have a car that was older, you had to go through it from 1940-41 from when the war started to 1945 when the war ended. All of those automobiles GM, Ford, they all were designed to make jeeps. And then they had to make tanks, they had to make the trucks to carry the troops. All of the factories were geared to making stuff for the war. So when the war was over they had to gear all of the factories back towards making automobiles. There was such a demand for them, it took a while, It took the country two or three years to catch up. Did that result in more jobs? Yeah it helped jobs. And as I said, I think the GI Bill to me was probably the most significant act that this country [passed]. I said that the two things in my lifetime that I considered the government made a big mistake in was one they broke Mah Bell, you dont understand that but, they broke up Mah Bell. And there was a time that we had the best telephone system in the world. And if anything was wrong with your phone you called and they would have a truck in your backyard the next day putting in a brand new phone and fixing the wires and thatd be it. Theyd move on. They knew their equipment. Now if something goes wrong, I gotta run down to the mall and find somebody in a store that wants to sell me a telephone. They have all kinds of [services]. AT&T was a big corporation in our country and they split that up, and now their stock is only worth about 12-15 dollars a share. At one time it was up around 80 or 90. Those are little things that changed in our country. When I was a kid people just didnt have a lot of disposable income and every nickel and every penny. If you father had a job you were very fortunate. And after the war, about two or three years after, they economy started to go and weve had some dips and drops but we have never gone back. I guess the Federal Reserve is keeping very close eye on it because they never want it to go back like it was in the depression. Were you aware of soldiers that did not recover psychologically from their time in war? Where abouts in Japan were you? Yokohama. Right between Yokohama and Tokyo. 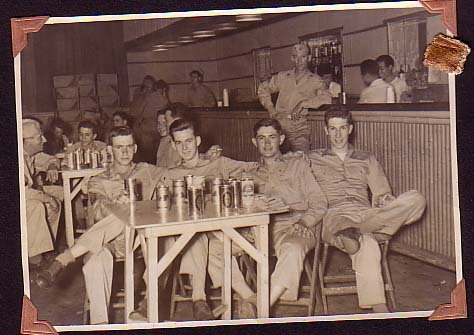 My base was right on the water because they needed the slips to bring in the ordinance materials for all of Japan. I can remember one morning, I was walking the beach, it was Easter Sunday, and we had loaded weapons. I looked out and I see a landing craft coming towards the beach. Now I was only 18 years old. HELLO. They still had the big cement abutments so that when the tanks or the landing crafts hit they would go up like that, so they could fire and hit the underside where there is less armament. So I thought, "what am I gonna do?" Lemmie tell you I put a round in that thing and got behind there. And I could see the Japanese, but they didnt have weapons, I dunno, but it was a landing craft. My young 18 year old mind was going, here we are in Saipan, so I just hollered out, "TOMARE!" which is halt in Japanese and I stood up with my weapon like that. Ohhh man! I made them climb down. I had them all in the sand like that. And I hollered post number four, and they sent somebody down. They sent the generals and everybody down, and come to find out they were just bringing certain supplies to our base, and the Japanese dont celebrate Easter. So it was a working day for them. They didnt know. I told one of them, "you'rd lucky I didnt shoot you." Sargent Captain said to me, "good job, great job!" So I always can say, "I wasnt in combat, but I captured a landing craft." Was going to college using the GI Bill was that an average thing to do as a veteran coming home? Most veterans decided, like the ones you mentioned who came home, for some kids it was very hard. For example, you go in and from the minute you walk in, your life is controlled. You got sergeants in your face, right up in your face, in your ears. Everything is run by a stopwatch. At 0500 that bugle blows, the sergeant starts walking down the barracks. "EVERYBODY UP!" He gets to the end of the barracks, and there are 25 guys in each one, and he starts walking back. If you are not out of your rack, he just picks the bed up and slams it against the wall and you go like this. At 17 years old you learn very quickly that those guys with 3 stripes on their sleeves are not people to fool with. Get up at two in the morning and you are scrubbing the floor with a toothbrush. Now all of a sudden they say, "OK, your enlistment is up. Hop on this ship and go home!" Heres your check, you hop on a train and go home. And from that day on you realize that nobody is bossing me. For some people it was a very hard adjustment. And you did have money. Everybody had money. It might have not been a lot but, I think I got about 800 bucks. 800 bucks when I got out of the service was a lot of money. Plus everybody was two or three years older. So some of the boys that went in at 18 and came back at 21 which ment they could drink. A lot of them got married early. Because you know a lot of them had spent three years of their life fighting and they didnt want to waste their time. They got married to their high school sweethearts and they had kids. All of these things came tumbling down. They had sections in my town where they had Quonset huts. They brought them out on trailers and set them up. So some of the boys did not do too well. They took to drinking and gambling and doing things that wasnt really god. But most of the people that I knew decided to go to school and get an education. So after that did most people get jobs? Yeah, a lot of people got jobs, as I said they went to work for the telephone companies, they went to work for the electric company because those were the jobs, back then, that you could go into for 35 or 45 years, get your money and retire. You cant do that today, but in those days the electric company, the gas company, the railroad company, they were all big places of employment for people. There were connections. Many times if your dad worked for the electric company you would get in. They took care of you. What was it like being stationed in the defeated country? It never affected any of us. The kids were all that ages, except for the corporals and sergeants, they were all young kids, because you either had to enlist or get drafted, but most of us enlisted. So when we went over, I didnt really have any feelings one way or the other. I mean little kids were starving. They had no food, no nothing. So when we went over it would be like taking you to France and we were occupying France, people still went to their jobs. They started coming back to their jobs. The people would farm. Many of them. every piece of property. Every piece of land would be farmed. Every piece of land was under rice. Our job was to serve all Japan and Korea. We did all of the automotive jobs. So lets say you were a company in Osaka Japan and you needed two generators and a muffler and things like that, you would fill out a sheet that was sent to us and I was in charge of the group. I had six Japanese people that worked for me. I treated them like, Im the boss you are the workers, but I really wasnt mean to them at all. And I dont remember anybody even really being that way. Because I remember we used to go outside on weekends and they would let them come through to the barracks and sell things that they made to the soldiers. And they always had little children with them. I would always make sure I brought out candy bars to give to the little kids because I just felt so bad for them. Did you expect to feel resentment from them? I didnt know what to expect. Right out of high school I was overseas. And all I expected to see was little alleyways with boats in them. And we pulled into Tokyo harbor and I remember looking up and seeing these large buildings and I couldnt believe it. Im a little farm boy from Rhode Island and all I had ever seen before was the little two story houses. The biggest buildings I had ever seen were in Providence. But no, the people were very nice. They were very nice. It was just like we had a job. You got up every morning and you went to work and you had a job, then every third day you had guard duty. We didnt have kitchen police or have to wash any pots and pans because they had the Japanese people to do that, but it would be just like you going to France right now. You dont walk around with a rifle on your shoulder like you see today in Iraq or with armor on. The only time you carried a weapon was when you were on guard duty. And I did that every third day. But the people were very nice.But we didnt have any problems with the people. I went up to the resort that we had for the GIs only and we walked through these little towns up there and they were very small villages. The people were very polite and they always said hi. I made a point to bring up food to them. There was no resistance or anything? No, in fact, I think the way we won the war was because we were solving a political situation with a military endeavor. And in Japan we dropped two bombs and it was either that, or lose 250,000 men and my name was on the list. I cannot think of anytime there was resistance. The only time I think I was nervous was when I went on guard duty. The Bugle reports on a name mix-up for who was returning home. 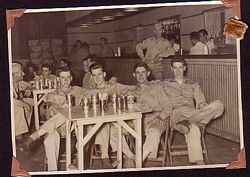 The Buge reports on the return home of a soldier. Mr. Gorman posing in his gear. Mr. Gorman poses with child. Troops returning home by ship. A high school Memorial Day parade.